It's rare I post something other than littles and families over here and more rare for me to add words but I just had to share what's going on over at my dear friend Michelle's shop. Michelle (and her husband Tom) own Tommy's Salon in Ames. To know Michelle is to love her. 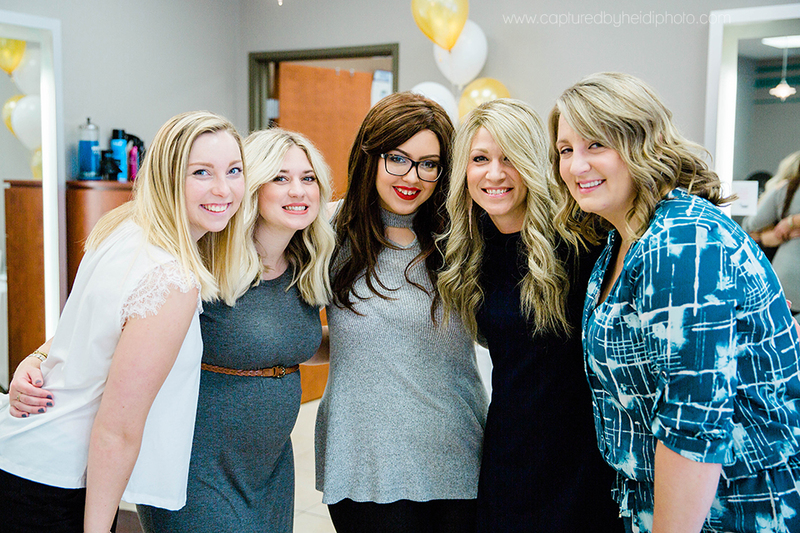 I've seen first hand her amazing work with everything from back to school cuts to wedding dos. I've watched her work with clients in all stages of life. From first hair cuts to last, she will leave you feeling beautiful and loved. So I wasn't a bit surprised when she told me about Bev's Corner. You see, her grandma Bev was diagnosed with breast cancer the very same week Michelle was invited to volunteer at Bliss Cancer Center helping cancer patients feel beautiful with alternative hair. Grandma Bev fought cancer (and won). Michelle poured her heart into the patients she got to work with. Fast forward another baby (for Michelle, not grandma Bev), and life got busy, as it does. Michelle had to make the hard decision to put her family first and take a step back from her role at Bliss Center; her passion work. But God wasn't finished using her here yet. He was at work behind the scenes and just as a room at the shop was going to be opening up, a stranger walked in the door and brought with her the opportunity for the wig room. Today that wig room, Bev's Corner, is fully furnished complete with wigs, toppers, products and accessories for alternative hair. They have wigs from Jon Renau and all their stylists are specially trained to help you find the perfect hair solution. Whether you are dealing with hair loss, cancer, or desire more volume or length- they can help you! They work hand in hand with Bliss Cancer Center at Mary Greeley and Strands of Strength.